Here is a little history about me and my blog. Less than one year ago, my husband came home with my Mother’s Day gift: a new computer. He told me that I should really start blogging and that he would help me get started. Ms. Kitty Bradshaw, is my friend and also mentioned that I should start a blog. She shared with me her positive blogging experience and have much encouragement I agreed to start a blog. Previously, I had lost my passion for most things and had no idea what I would write about. I was a new stay at home mom just content with enjoying my children who were reviving my happiness. It is no secret that I love my family, but blogging has given me a voice again: when I had stopped reading, writing and in some ways, I had stopped dreaming. My life now is so much more richer. Now, through my blog I share my genuine interests and thoughts. I now live to be a better person: hoping, learning, dreaming, and sharing. It is hard work to keep up with the many blogs out here, but I am still cultivating my voice. 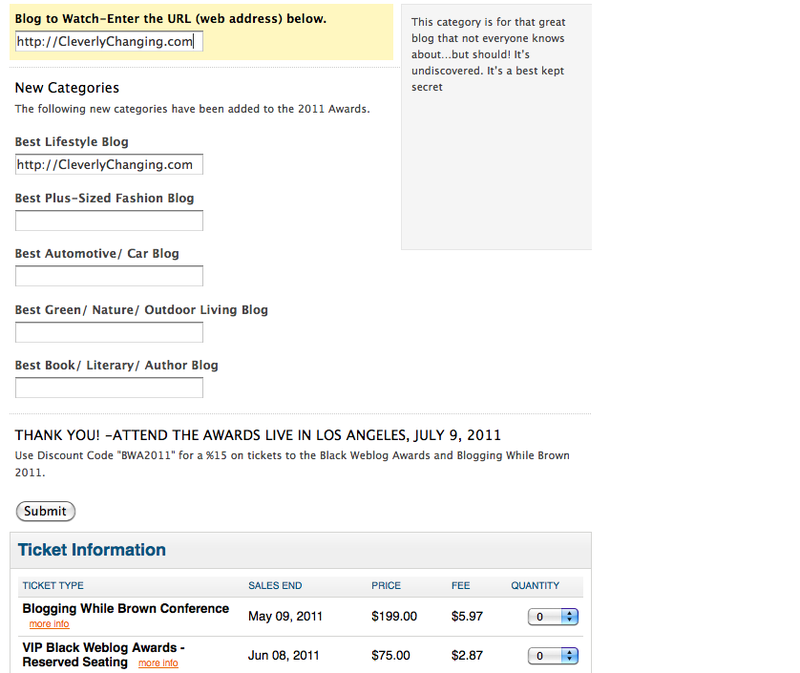 Please nominate my blog if you have gained anything from the words I have shared thus far. My blog is almost a year old and I look forward to what the future will bring. My blog has evolved a lot since I first began, I am also no longer scared of social media and it has also helped bring my husband and I closer together because without his help my blog would be very pitiful. Thank you all in advance for nominating me! Nominations close MAY 7th.